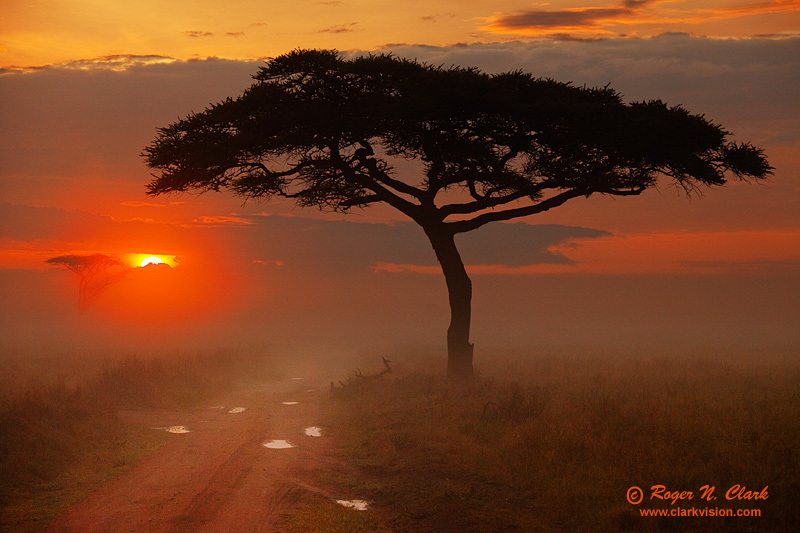 Sunrise in the central Serengeti can be stunning, especially foggy mornings like this one. Serengeti National Park, Tanzania. Technical: Canon 5D Mark II 21-megapixel camera, 70-200 mm f/4 L IS lens at 111 mm, f/6.3, 1/1250 second, ISO 400, meter -2 stops, hand held. Full image, no crop.